Burlington Basics is a blended course for adult students who are at NRS ESL Level 1 (Beginning ESL Literacy), with CASAS Reading Scale Scores at 180 or below. Burlington Basics is designed to provide students with a good foundation of basic vocabulary, language structures, work skills, and life skills, so they will be able to communicate and interact at work, at school, and in the community. Developed especially for adult learners, English in America includes a wide range of topic-based Modules with a strong EL Civics focus. English in America is available for different levels of proficiency, covering NRS levels Low Beginning ESL to Advanced ESL. These innovative, flexible learning materials reflect an integrated blended learning methodology. English in America Intermediate includes a wide range of topic-based modules with a strong life skills and EL Civics focus for low to high intermediate adult learners of English. English in America Advanced includes a wide range of topic-based modules with a strong life skills and EL Civics focus for advanced adult learners of English. The Everyday English series provides students with a strong basis in general English, with hundreds of hours of learning in each course. Our blended learning approach provides online Modules and face-to-face classroom lessons. Online Modules provide English-language building blocks for comprehensive training in all four language skills: Listening, Speaking, Reading and Writing. The downloadable print materials for in-class lessons focus on communication, guided writing and additional grammar practice, aspects of learning best facilitated by the teacher. Everyday English 1 is a unique program for low beginning adult learners of English. Learners engage in activities that focus on topics from everyday life, while acquiring essential language skills through listening, speaking, reading, writing, and grammar. Everyday English 2 is a unique program for low to high beginning adult learners of English. Learners engage in activities that focus on topics from everyday life, while acquiring essential language skills through listening, speaking, reading, writing, and grammar. Everyday English 3 is a unique program for low to high intermediate learners of English. Learners engage in activities that focus on topics from everyday life, while acquiring essential language skills through listening, speaking, reading, writing, and grammar. 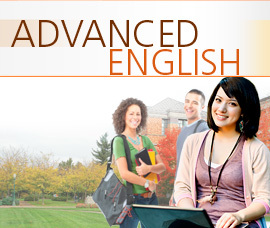 Advanced English is a unique program for advanced adult learners of English. Learners engage in activities that focus on topics of both general and academic interest, while acquiring essential language skills through listening, speaking, reading, and writing. The Career Wordlists include hundreds of words and phrases specific to each career, plus example sentences for each word. Accompanying activities provide extensive specialized vocabulary and pronunciation practice to help your students gain confidence and internalize the language necessary for them to successfully move forward on their individual career paths. 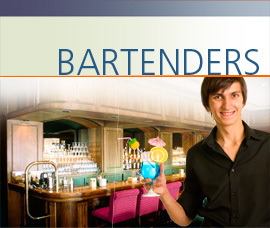 The Bartenders Career Wordlist contains hundreds of words and phrases and accompanying activities which provide extensive vocabulary and pronunciation practice using the language needed to succeed in the field of bartending. 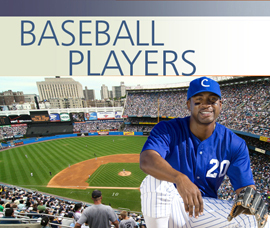 The Baseball Players Career Wordlist contains hundreds of words and phrases and accompanying activities which provide extensive vocabulary and pronunciation practice using the language needed to succeed in the field of baseball. 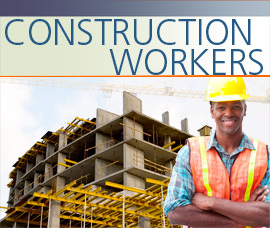 The Construction Workers Career Wordlist contains hundreds of words and phrases and accompanying activities which provide extensive vocabulary and pronunciation practice using the language needed to succeed in the field of construction. 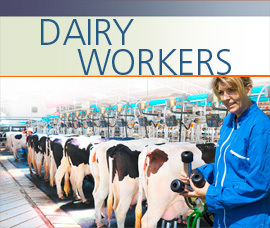 The Dairy Workers Career Wordlist contains hundreds of words and phrases and accompanying activities which provide extensive vocabulary and pronunciation practice using the language needed to succeed in the field of dairy farming. 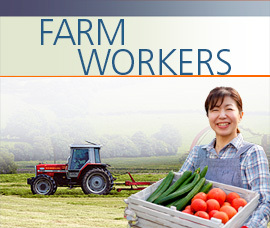 The Farm Workers Career Wordlist contains hundreds of words and phrases and accompanying activities which provide extensive vocabulary and pronunciation practice using the language needed to succeed in the field of farming. 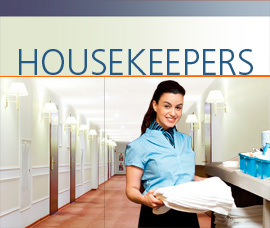 The Housekeepers Career Wordlist contains hundreds of words and phrases and accompanying activities which provide extensive vocabulary and pronunciation practice using the language needed to succeed in the field of housekeeping. 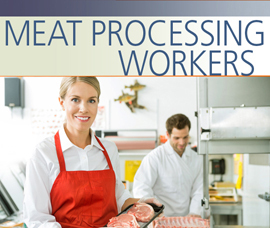 The Meat Processing Workers Career Wordlist contains hundreds of words and phrases and accompanying activities which provide extensive vocabulary and pronunciation practice using the language needed to succeed in the field of meat processing. 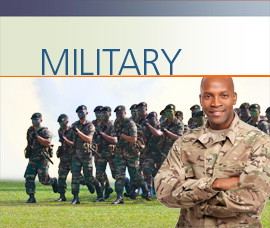 The Military Career Wordlist contains hundreds of words and phrases and accompanying activities which provide extensive vocabulary and pronunciation practice using the language needed to succeed in the military field. 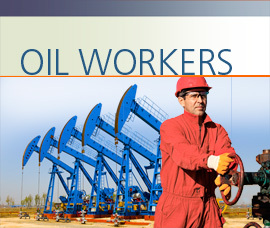 The Oil Workers Career Wordlist contains hundreds of words and phrases and accompanying activities which provide extensive vocabulary and pronunciation practice using the language needed to succeed in the field of oil work. 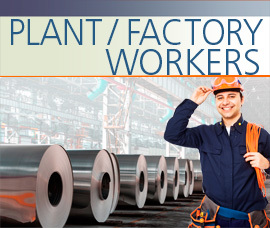 The Plant/Factory Workers Career Wordlist contains hundreds of words and phrases and accompanying activities which provide extensive vocabulary and pronunciation practice using the language needed to succeed in the field of plant/factory work. 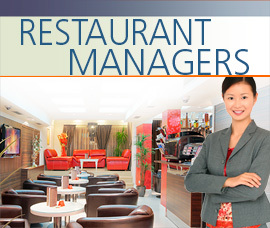 The Restaurant Managers Career Wordlist contains hundreds of words and phrases and accompanying activities which provide extensive vocabulary and pronunciation practice using the language needed to succeed in the field of restaurant management. 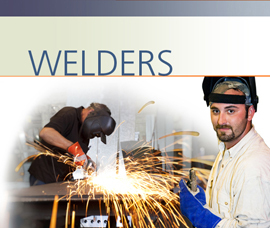 The Welders Career Wordlist contains hundreds of words and phrases and accompanying activities which provide extensive vocabulary and pronunciation practice using the language needed to succeed in the field of welding. BurlingtonEnglish Career Courses can be used by students in training for specific professions, people currently working in those fields, or by those interested in exploring the world of a specific profession. The Series A Career Courses all follow the same structure and cover the same soft skills syllabus – only the career-related vocabulary changes from course to course. This means that you can teach multiple Career Courses simultaneously and help your students acquire the English that they need for their specific careers. 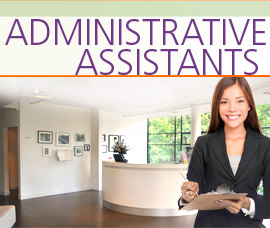 The Series A Career Course for Administrative Assistants covers topics such as interviewing for a job, discussing experience, qualifications, work conditions, responsibilities, equipment and supplies, giving directions, organizing meetings and appointments, and much more. 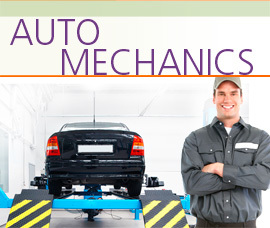 The Series A Career Course for Auto Mechanics covers topics such as interviewing for a job, discussing experience, qualifications, work conditions, safety in the workplace, providing services, etc. 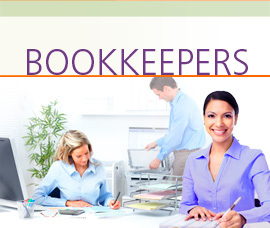 The Series A Career Course for Bookkeepers covers topics such as interviewing for a job, discussing experience, educational background, qualifications, work conditions, job responsibilities, and much more. 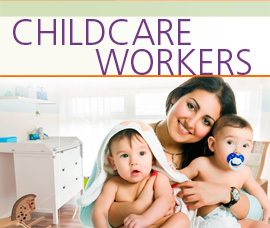 The Series A Career Course for Childcare Workers covers topics such as interviewing for a job, discussing education, training, work experience, responsibilities, health and safety policies, ordering equipment and supplies, and much more. 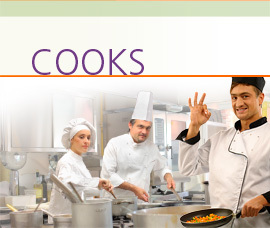 The Series A Career Course for Cooks covers topics such as interviewing for a job, discussing education, training, work experience, responsibilities, company guidelines and policies, ordering equipment and supplies, cleaning and hygiene, and much more. 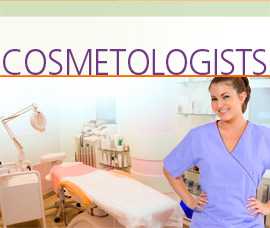 The Series A Career Course for Cosmetologists covers topics such as interviewing for a job, discussing education, training, work experience, responsibilities, work conditions, ordering supplies, scheduling appointments, and more. 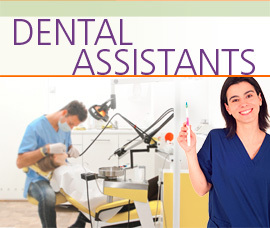 The Series A Career Course for Dental Assistants covers topics such as interviewing for a job, discussing education, training, work experience, responsibilities, work conditions, equipment and dental procedures, and much more. 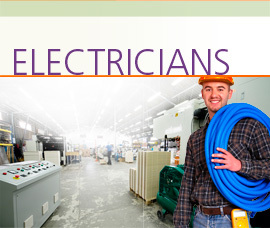 The Series A Career Course for Electricians covers topics such as interviewing for a job, discussing education, training, work experience, responsibilities, work conditions, equipment and supplies, electrical issues and much more. 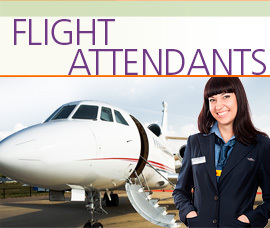 The Series A Career Course for Flight Attendants covers topics such as interviewing for a job, discussing education, training, work experience, responsibilities, work conditions, equipment and supplies, safety and security, interactions with passengers, and much more. 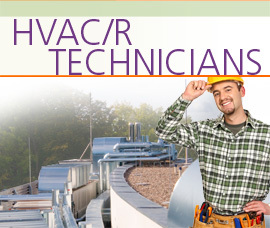 The Series A Career Course for HVAC/R Technicians covers topics such as interviewing for a job, discussing education, training, work experience, responsibilities, work conditions, equipment and supplies, installation issues, and much more. 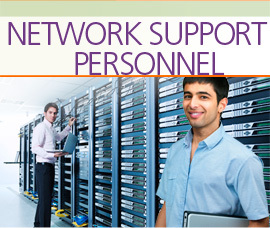 The Series A Career Course for Network Support Personnel covers topics such as interviewing for a job, discussing education, training, work experience, responsibilities, work conditions, equipment and supplies, network problems, diagnosis and solutions, and much more. 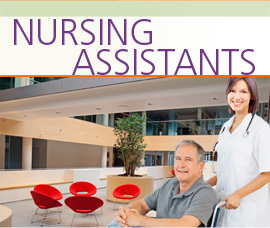 The Series A Career Course for Nursing Assistants covers topics such as interviewing for a job, discussing experience, educational background, qualifications, work conditions, job responsibilities, safety training, on-the-job tasks, and much more. 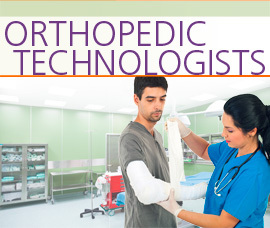 The Series A Career Course for Orthopedic Technologists covers topics such as interviewing for a job, discussing education, training, work experience, responsibilities, work conditions, equipment and supplies, casting issues, and much more. 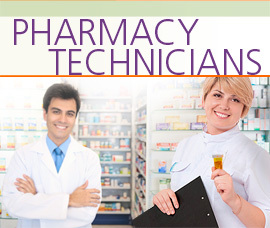 The Series A Career Course for Pharmacy Technicians covers topics such as interviewing for a job, discussing education, training, work experience, responsibilities, work conditions, equipment and supplies, medication and prescriptions, and much more. 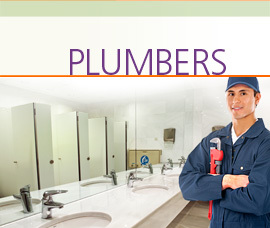 The Series A Career Course for Plumbers covers topics such as interviewing for a job, discussing education, training, work experience, responsibilities, work conditions, equipment and supplies, customer interaction, installation issues, and much more. 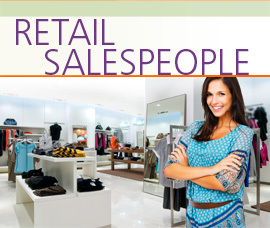 The Series A Career Course for Retail Salespeople covers topics such as interviewing for a job, discussing education, training, work experience, responsibilities, work conditions, company guidelines and policies, customer interaction, product features, payment and price, and much more. 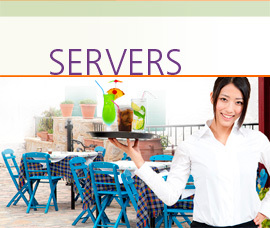 The Series A Career Course for Servers covers topics such as interviewing for a job, discussing education, training, work experience, responsibilities, work conditions, company guidelines, policies and procedures, customer interaction, how to take orders, and much more. 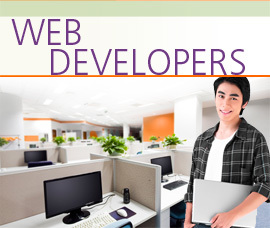 The Series A Career Course for Web Developers covers topics such as interviewing for a job, discussing education, training, work experience, responsibilities, work conditions, equipment and supplies, client interaction, website features, and much more. The Series B Career Courses offer extensive in-depth exploration of a wide range of professions to help your students gain confidence and acquire the English that they need to succeed in their chosen careers. The Series B Accounting English course covers topics such as bookkeeping, standard accounting, international accounting, financial statement generation and analysis, tax services, financial analysis and planning, corporate finance, and much more. The Series B Air Traffic Controllers’ English course covers topics such as the monitoring and control of all air traffic, communicating with pilots, takeoff and landing language, weather reports and runway conditions terminology, communicating during emergencies, navigational aids, and much more. The Series B Banking English course covers topics such as personal, business and investment accounts, mortgages, and international banking issues, etc. The Series B Business English course covers topics such as applying for business positions, meeting colleagues and clients, business trips, planning for and attending exhibitions, etc. The Series B Caregivers’ English course covers topics such as caring for the elderly, caring for patients with special needs such as disabilities and chronic illnesses, caring for patients in recovery, first aid, and much more. The Series B Doctors’ English course covers topics such as anatomy, general examinations, procedures, tests and pharmacology, as well as 15 different medical specialties. The Series B Engineering English course covers many fields of engineering as well as topics such as consulting, designing, feasibility services, procurement, construction, quality analysis, systems management and support, etc. The Series B Finance English course covers topics such as managing portfolios, investment strategies, real estate investments, tools for fundamental analysis, investment banking, basic economic principles, the importance of regulatory bodies, etc. The Series B Hi-Tech English course covers topics such as defining technical needs, deciding on purchases, setting up office and network equipment, troubleshooting, technical support, and much more. The Series B Hotel English course covers the different departments in a hotel such as management, concierge, reception, cashiers, event organization, housekeeping, business center, food and beverage, fitness center, etc. The Series B Legal English course covers topics such as formation of companies, drafting contracts, litigation, intellectual property protection, taxation, international arbitration, and much more. The Series B Nurses’ English course covers topics such as anatomy, general examinations, procedures, tests and pharmacology, as well as eight different nursing specialties. The Series B Office English course covers topics such as using office equipment, ordering office supplies, preparing documents, handling mail and security, organizing conferences, and much more. The Series B Relocation English course covers the topics important when relocating to a new country such as finding a place to live, making new friends, organizing services, getting settled at schools, handling emergencies, entertainment, etc. The Series B Teachers’ English course covers topics such as teaching qualifications, theoretical and practical issues related to student teaching, elementary, high school and language school teaching experiences, and much more. The Series B Travel English course covers topics such as planning trips, booking tickets and hotels, getting visas, learning airport procedures, arranging tours, and much more. BurlingtonEnglish Prepare for CASAS can be used in a variety of ways to meet the needs of students, teachers and administrators. 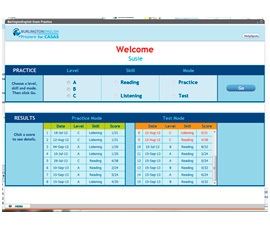 Prepare for CASAS includes Reading and Listening tests for levels A, B, and C. The Practice tests are closely aligned and correlated to CASAS to ensure that students receive the exact practice they need to improve their test scores and make gains. 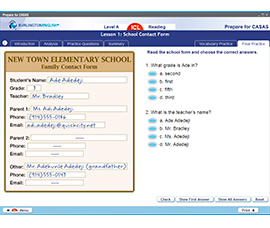 Teachers can use the ICL for targeted competency-based instruction or to supplement any curriculum. Prepare for CASAS Student’s Zone offers independent practice for students preparing to take CASAS tests. The BurlingtonEnglish CASAS-like tests enable students to practice and test competencies, and gain familiarity with the structure and format of the tests. The Listening and Reading practice tests are offered at three levels: CASAS A, B, and C, and in two modes: Practice Mode or Test Mode. The ICL is a set of projectable, interactive, teacher-led Reading lessons and accompanying worksheets which complement and support the Student’s Zone. It can be used for instruction to supplement any curriculum and for remediation based on CASAS Competencies. BurlingtonEnglish is excited to offer a complete Digital Library so that students can explore their passion for reading in English! 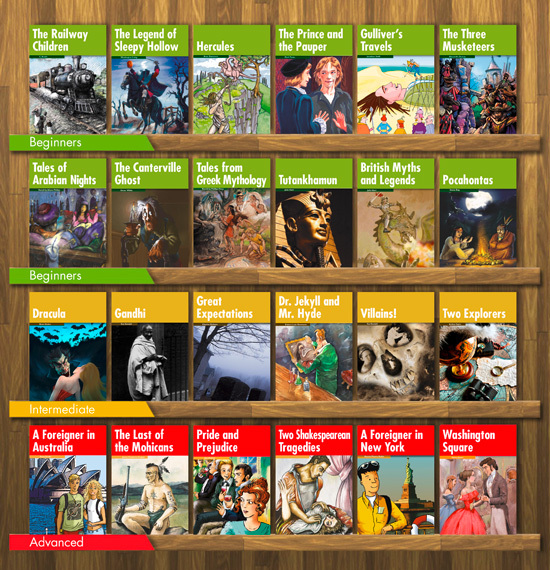 This collection of multi-level graded readers has been adapted specifically for English language learners and includes a range of fiction and nonfiction, classic and modern novels, and collections of short stories. Students can listen and read along with highlighted passages and then complete activities which check their comprehension. The graded digital readers are offered at three levels: beginners, intermediate and advanced. BurlingtonEnglish offers a unique program for English language acquisition. It combines face-to-face classroom activities with any time-anywhere access to state-of-the-art online interactive courses. With the BurlingtonEnglish SpeechTrainer®, students effectively improve their pronunciation and comprehensibility, giving them the confidence to communicate successfully in any situation. © BurlingtonEnglish. All rights reserved.